LOS ANGELES — A teeny piece of red confetti floated to the ring, seemingly from nowhere, during the final round. After 24 rounds of brutal warfare waged over almost three years, both Leo Santa Cruz and Abner Mares deserve to be celebrated. For their guts. For their willingness to lay it all on the line. Many fans and media members bemoaned that it took so long to finalize the rematch after the first excellent bout in August 2015. The fighters, though, promised the encore encounter would be even better than the first meeting, and they delivered. 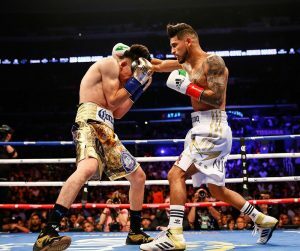 Santa Cruz and Mares engaged in brutal exchange after brutal exchange in the Showtime main event on Saturday before 12,505 at Staples Center, their fists furiously pumping at each other’s noggins in an exceptional violent fight where almost every round was difficult to parse. How can anyone pick a winner with confidence when both men are throwing at the same time as the other, both fighters connecting over and over? But the judges were surprisingly in agreement, and it was Santa Cruz who again prevailed over Mares via decision to retain his featherweight title. The scores: 115-113, 116-112 and 117-111. THE RING scored it 114-114. “It was a great fight; another war like we said. I had to be smarter. I had to do what I had to do to win the fight,” said Santa Cruz (34-1-1, 19 knockouts). “I love the crowd. I love to make them happy. Whatever I can do to please them, I do it. Mares (31-2-1, 15 KOs) found plenty of success early as Santa Cruz lunged in, negating his considerable height and reach advantage. He was able to time Santa Cruz with some flush right hands, but he never staggered his fellow Mexico native from Southern California. Mares, too, was never in any trouble despite absorbing 357 total punches from Santa Cruz. 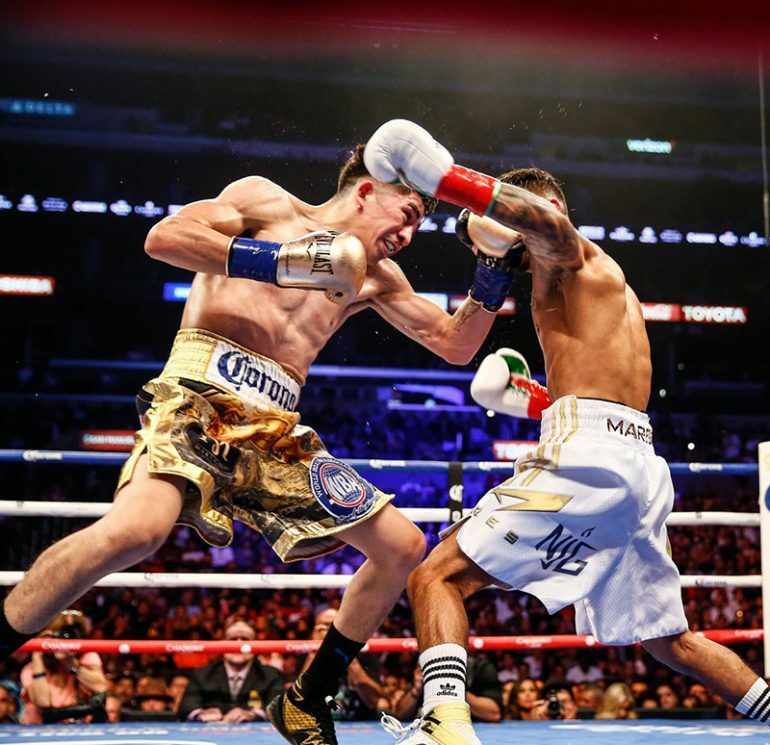 The 32-year-old boxed more than the first fight now that’s being trained by Robert Garcia, and he was able to counter the hard-charging Santa Cruz often over the first half. But Santa Cruz, 29, grabbed momentum over the second half as his pressure began to wear Mares down. He was able to connect on more clean shots and threw over 1,000 punches total. Mares connected on 208 of 931 shots. “It was a ‘Fight of the Year’ like I told you guys. We came here, we pleased the crowd,” said Mares, who together with Santa Cruz brought the crowd to its feet on several occasions with furious exchanges. “Win or lose, I don’t care. I’m here to please the fans. Santa Cruz is also rated as the top 126-pounder by THE RING, but if he truly wants to establish himself as the best in the weight class, he’ll have to meet Gary Russell Jr. in a unification title matchup later this year. Russell called for the matchup after he outpointed Joseph Diaz Jr. last month, and it’s a natural. Russell is rated No. 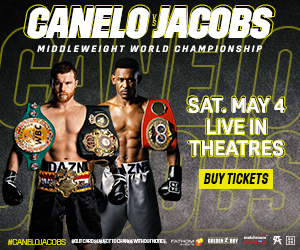 2 by THE RING at featherweight, and like Santa Cruz, is advised by Al Haymon and fights on Showtime. Mares wants another crack at Santa Cruz, and rightfully so. Both fights were tremendous and each one was really close. Maybe they will meet again down the road. For now, it’s Russell’s time to grab his opportunity at the top spot, and Santa Cruz is ready, too.